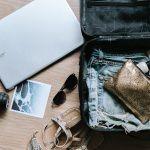 We know you love and adore your mother, and when you feel like you need to go that extra step, beyond flowers and candy and the cheesy Mother’s Day cards, we’ve made it a bit easier for you to “go beyond” the standard expectations. 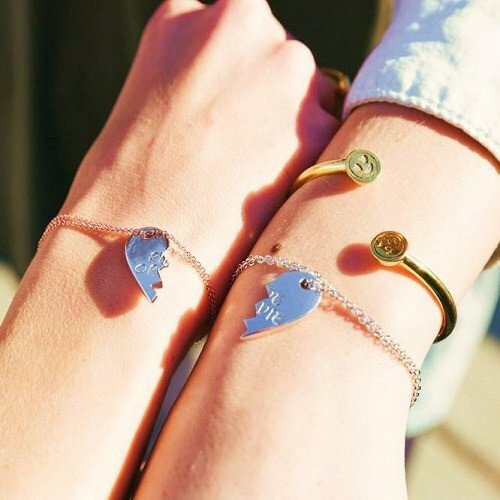 These heartfelt gifts give you some ideas from engravable jewelry that will forever keep your words close to her heart to minted keepsakes that convey the deepest gratitude and most memorable memories worth remembering over and over again. Every gift is heartfelt, it’s just that this time… it’s a little more special for you and Mom. Sometimes it seems that someone has everything they need, but the one gift that no mother would turn down is pictures of their children. Turn those pictures into a work of art, beautifully framed, and you have one gift that will last a lifetime. Thanks, Minted. Most of our walls are covered in pictures of our children, posed and polished, from birth to present day. 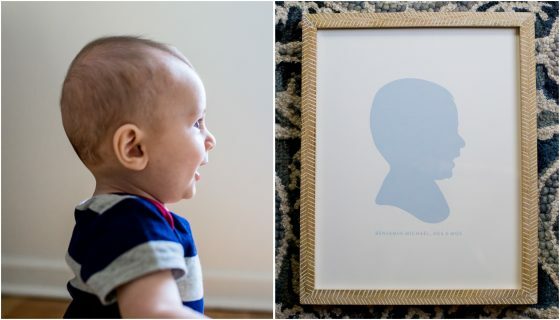 Those pictures mean the world to a mother, so when we found a way to commemorate a child in an artistic way, we fell head over heels. 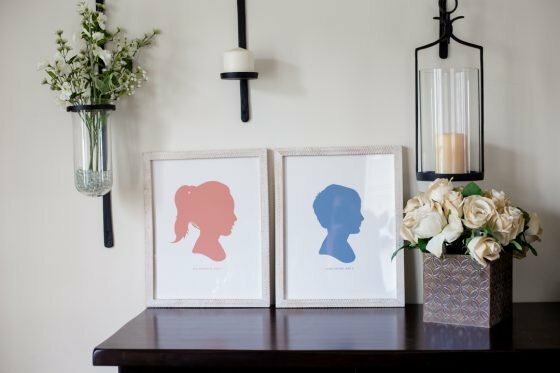 Minted’s Custom Silhouette Letterpress Art is a must on the walls of every home. What could be sweeter than the profile of a little human being? 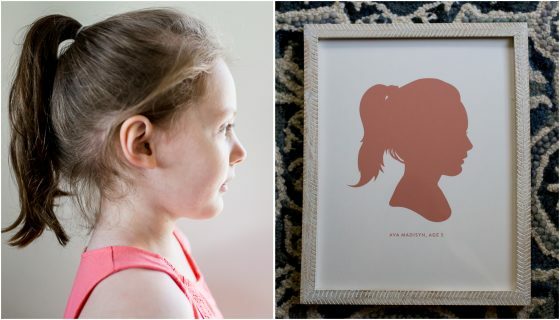 Their sweet little button noses, finger-brushed hair, and wild cowlicks all embossed and emblazoned forever on your walls in a crisp and bright silhouette. 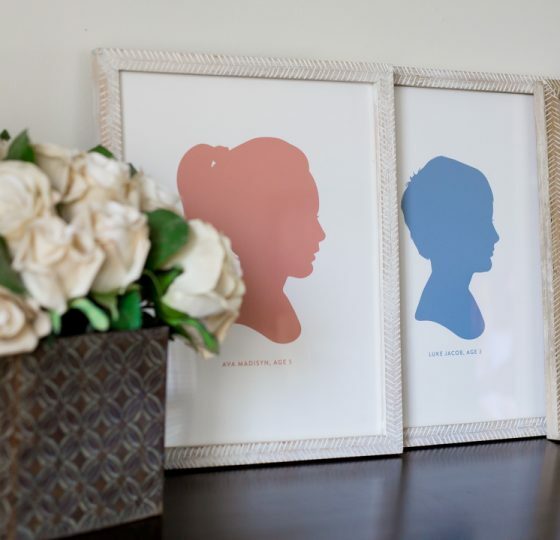 Minted’s Custom Silhouette Letterpress Art is the perfect addition to the walls of the family room, play room, or even each child’s bedroom. 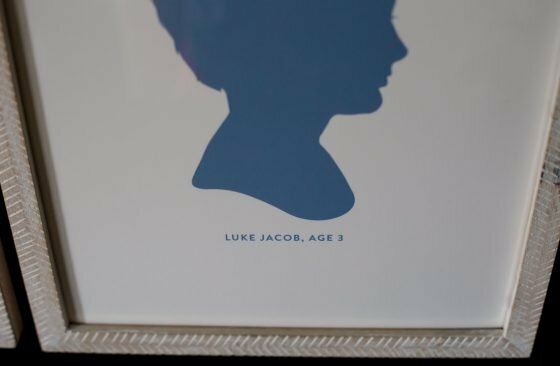 Featuring the silhouette of each child embossed onto fine paper in a color of your choice, this piece of art can be customized to fit any room scheme or heart’s desire. 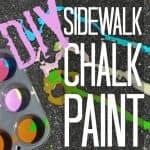 Creating this piece of art is incredibly easy. 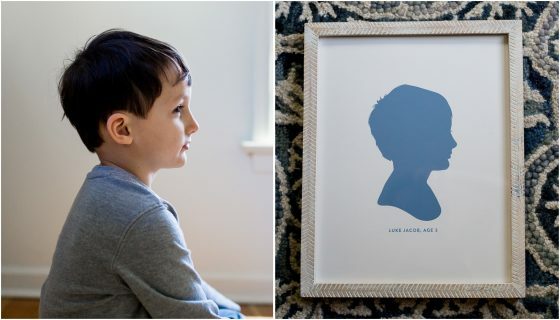 Simply take a clear profile picture of your child – or pet – in front of a blank wall. Be sure to style the child’s hair that not only shows his or her personality, but also adds dimension to the piece. 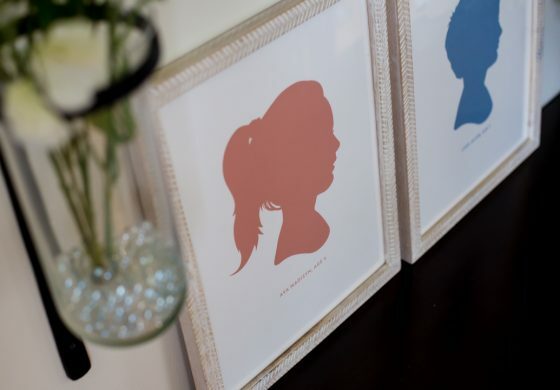 Upload the picture to Minted and one of their professional artists will create a silhouette in your chosen color. Add the child’s name (and age, like we did here!) to commemorate this special moment in time. 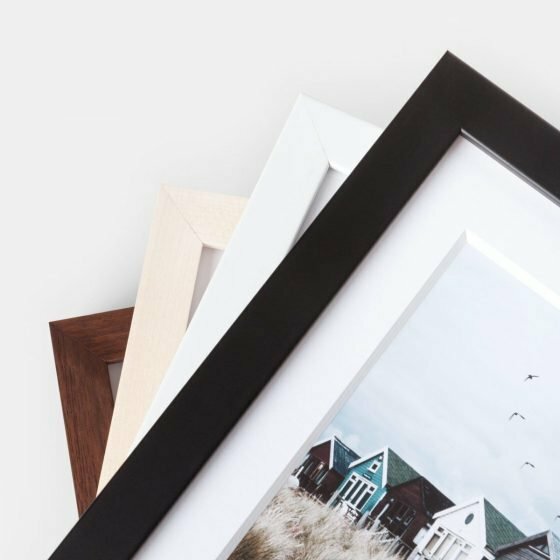 Finally, don’t forget Minted’s custom framing options – making this timeless piece even more polished. With a ton of frame options, you can choose just about any style (and color) to match your recipient’s home decor and unique style. The frame shown here is the Classic Whitewashed Herringbone, a hand-carved frame made of sustainable mango wood and etched in a whitewashed arrowhead pattern. Each frame is crafted individually, making each one unique and slightly different. We love the modern yet traditional look of this frame! 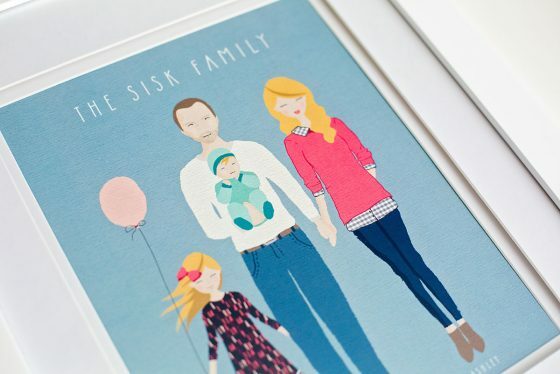 Minted was developed with the artist in mind. A true artist’s marketplace, Minted provides a place for independent artists to create and sell their work. Through a crowdsourcing business model, Minted has given artists a platform to create, grow, and flourish through challenges that encourage artists to submit work and vote for the best. The winner is then given the chance to sell their work on Minted’s site. 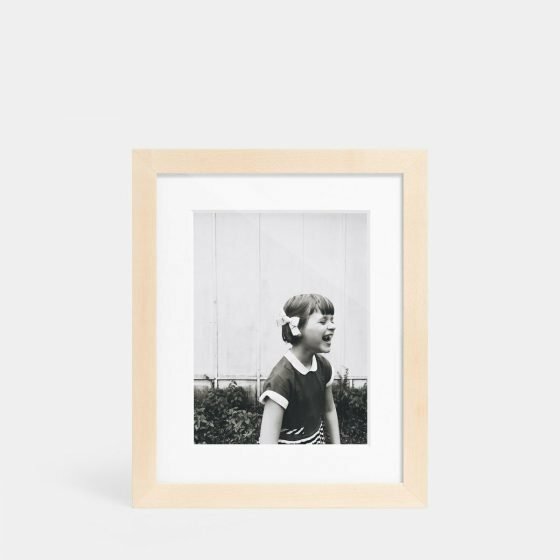 You can never go wrong by framing simple yet beautiful memories for Mom to cherish for many years to come. Are you worried that you have no idea how to access her beautiful collection of photos? No problem! Artifact Uprising eliminates that problem because you can connect right to Instagram and use their Instagram Friendly Frames. This makes the process simply fool proof. For another small yet impactful gift consider the Wood Block + Print Set, perfect for the desk, nightstand, or counter. 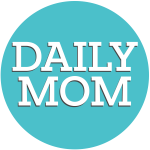 Here at Daily Mom we want to give a shout out to the beautiful and busy moms everywhere who are doing their best day in and day out for their little ones. Artifact Uprising is right there with us, and we think that their Instagram Friendly Frames are absolutely perfect and simple gifts that are sure to exceed her expectations. 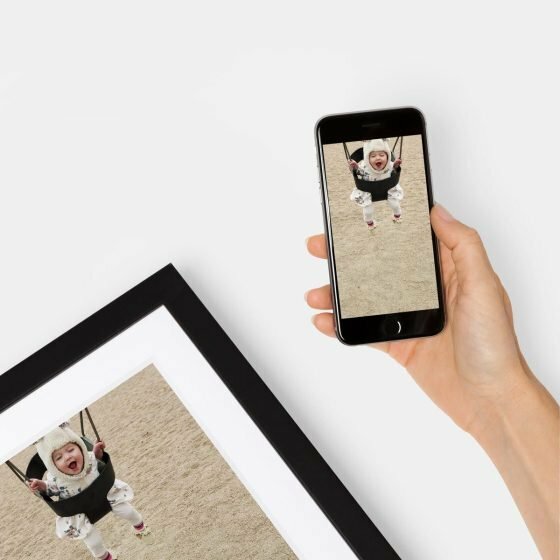 Simply hook up to Instagram, choose your favorite photos, and you are well on your way to creating a gorgeous gallery wall. You could even go the extra mile and surprise her by hanging up the photos for her! These stylish frames are museum quality and can be simply customized with both your photo and your choice of mat cut. You also have the ability to choose a Deep-Set Frame or a Gallery Frame, both of which make classic and stylish options. Feel free to mix and match, because there is no way you will be able to choose just one favorite photo. With four different frame options (maple, walnut, black, and white) there is no reason to stick with simple. Mix it up for a beautiful gallery! Artifact Uprising surpasses all of the competition by offering Inkjet-printed giclée prints with 100% archival inks on Archival Matte Paper which is FSC-certified, acid free paper with a smooth, neutral white finish. Your prints will come ready to hang leaving very little work on your part. What happens when there are so many photos that you can’t choose just a few? Consider Artifact’s Wood Block + Print Set. This beautiful display will be the perfect addition to any desk or even a counter or side-table. 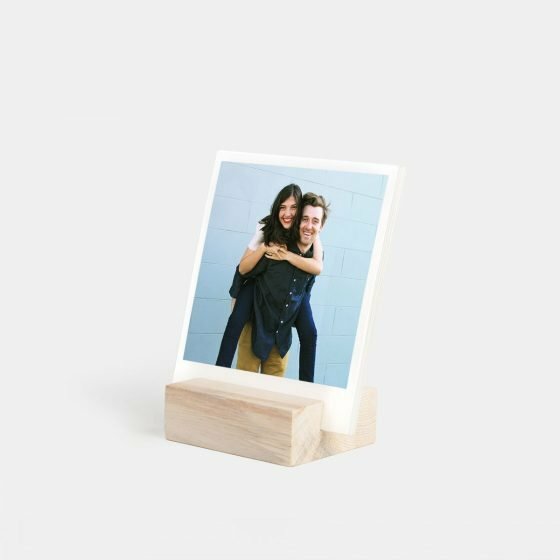 This set comes with a rotating art display of 12 of your photos, printed as textured paper prints that rest in the wood. This way Mom can change out the photos as often as she pleases! The wood block is handcrafted from mountain beetle pine. This pine was once considered fallen wastewood and is uniquely grayish-blue in color. Each block will vary slightly and can even include knots and unique markings. It will match any style of decor and is sure to be simple yet stand out. 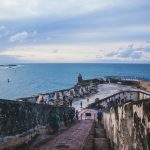 Founded in 2012 by a group of creative and passionate photographers, Artifact Uprising offers professional quality photography products like albums, prints, and gifts. The creators of Artifact Uprising are inspired by the fact that photography allows you to make an experience into something permanent. You can get the beautiful artwork that is your photography off your computer and onto some walls or shelves. 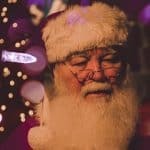 They offer several gorgeous options that would make personal and heartfelt gifts to give to anyone on your list this year. Thomas Sabo has created one of the most extensive and stunning lines of premium jewelry that we’ve ever seen. There is truly something for everyone, and no matter what you pick from this collection, you are going to blow Mom away. 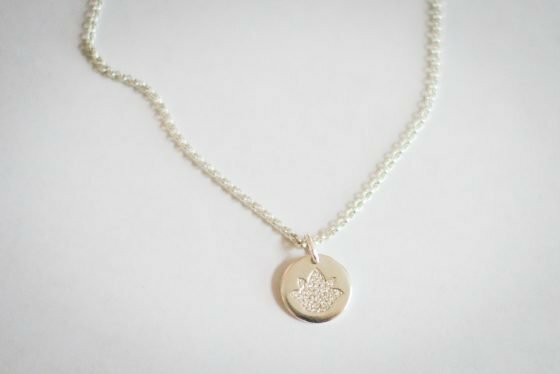 This engraveable lotus flower necklace from Thomas Sabo is, in a word, stunning. It shines and sparkles like nothing we’ve seen before. 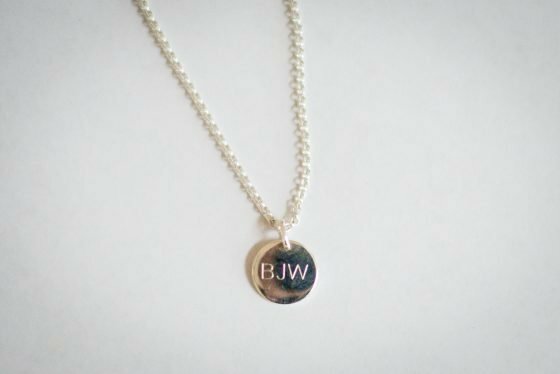 You can engrave a sweet message to Mom on the back, or her children’s initials, as we’ve done here. Made from the brightest sterling silver, this pendant will truly surprise and delight Mom this Mother’s Day. The dainty lotus flower charm is loaded with sparkly pave zirconia, and has just the right touch of glitz to add something special to Mom’s day. We just adore the meaning behind the lotus flower too, a symbol of purity and overcoming challenges (the lotus is a beautiful flower that grows out of the mud). Being a mother is hard, hard work, and the lotus can symbolize any mom’s path in motherhood. 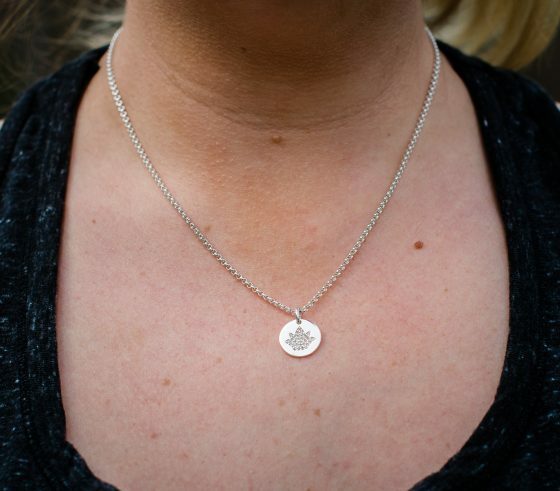 Each Round Belcher Chain is made from sterling silver with an eyelet clasp, and is incredibly durable. 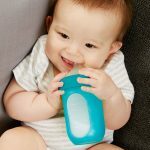 We won’t say that it can always withstand a child tugging on it, but one of our Daily Babies gave it a few yanks, and this chain is pretty rock solid. Each piece of Thomas Sabo’s jewelry is elegantly packaged in their signature box and provides quite the wow factor. Engraveable jewelry is 15% off for the Mother’s Day holiday. Thomas Sabo was founded in 1984 by Thomas Sabo in Germany. By the end of the 1980’s, it had become one of the premiere silver jewelers in the German-speaking world. 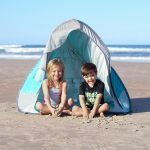 Since then, they have continued to expand their product line to include many innovative styles and specialties. This Mother’s Day express yourself with Accent, a company built around self-expression. Motherhood is beautiful, messy, and crazy. You never knew you could love someone so little so much, but sometimes we are so wrapped up in loving others that we forget to love ourselves. Accent helps to remind you of who you are, and wear that reminder daily. BFFs, remember that pledge you made so long ago? 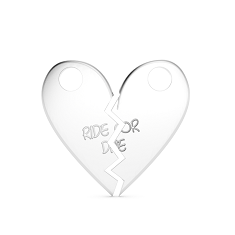 Bring back that connection, that nostalgia with a Customizable Broken Heart Pendant. The wording is all your own and custom 3D printed with anything you want it to say. The pendant comes in rose gold, gold, or silver. 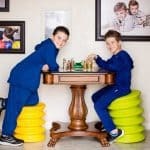 It’s accompanied by two matching 18 inch discs as well as two key rings, thus giving you complete flexibility with how to style and wear this unique piece. Accent wants to remind you of your individuality. The you that is a compilation of all the things that make you happy, that make your soul smile. Founder Nanci Bergman, has background in consumer products; however she felt that most products were geared towards the masses, not the individual. Hence, why she founded Accent. She wanted a company that promoted individuals, the fish that swim against the stream, or those that march to their own beat. 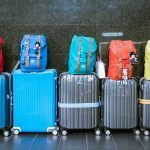 They found that by utilizing technology like 3D printing and customization software to create truly individual products. We love the idea of gifting Mom something personalized. Not only does it show that you put some thought into the gift and thought of their needs, but it also shows that you were willing to go the extra mile. 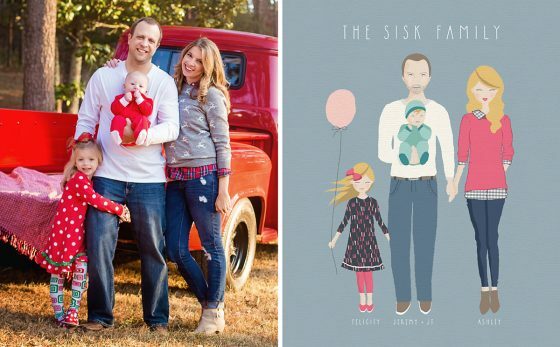 And, while Mom always loves handmade gifts from the kids, she’ll especially love a custom illustration of the entire family. 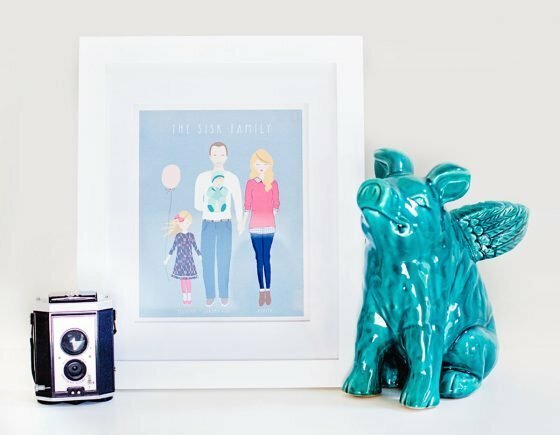 Custom Family Portrait Illustrations by Wlaz Design Shop are the perfect way to capture the likeness of your family during this specific time in your life. 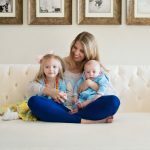 All you have to do is submit a photo of your family with any special requests and Kristy will create a custom illustrated high-resolution, 8 x 10 printable family portrait (custom sizes are available upon request) for you to print and frame, just in time for Mother’s Day. We submitted one of our favorite Christmas photos to Kristy with a request to change colors from reds to pinks and blues with greens. Her interpretation was spot on, all the way down to the stubble on Dad’s face. Proofs are typically ready within two days and the price covers up to four people in the portrait. 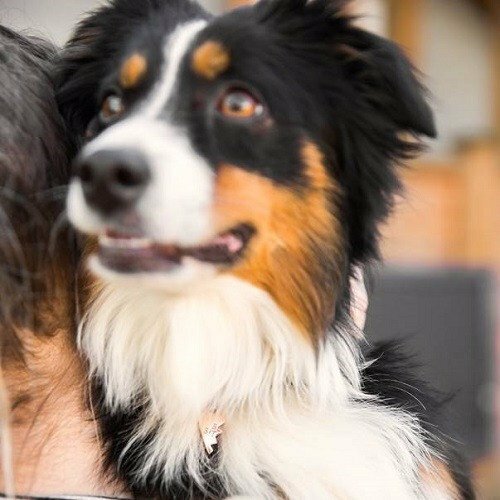 If you have a larger family or would like to add animals, no problem! The additional cost is $10 per addition. 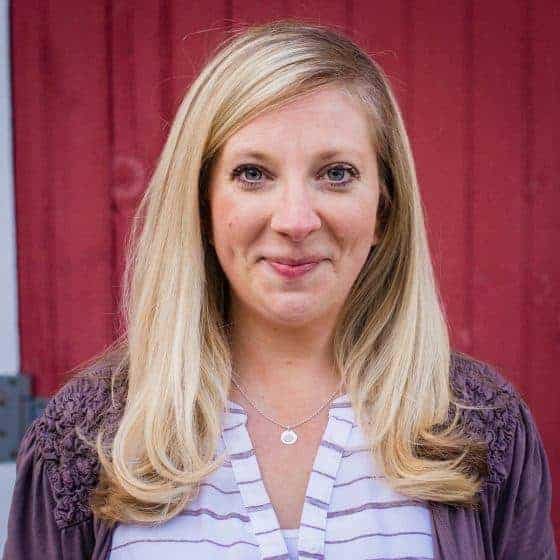 Wlaz Design Shop is run by Kristy Wlaz, an award-winning graphic designer with a degree of Fine Arts in Graphic Design. With a healthy obsession for beautiful typography, photography, and modern design, she strives to create inspired products ranging from custom printable invitations and announcements to unique wall decor. She works directly with her clients to create or customize a thoughtfully designed look for any occasion. With a quick turn-around time, and simple, modern style, Wlaz Design Shop is sure to make your next event a shining success. 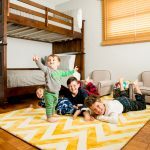 As a full-time mom who runs a design business, she finds inspiration in the simple moments she spends creating with her children… and lots of coffee. 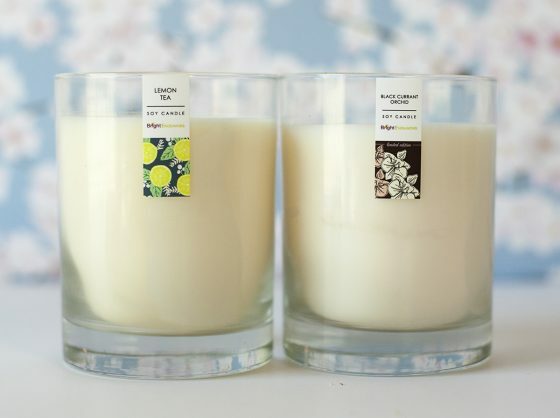 Help Mom relax and unwind with a signature glass soy candle from Bright Endeavors. Available in seven lovely scents, you’re sure to find one that your mom loves. We love the Black Currant Orchid scent, available as a Mother’s Day limited edition. The Lemon Tea candle has a vibrant lemon scent that makes it the perfect light scent to burn during the spring and summer months. 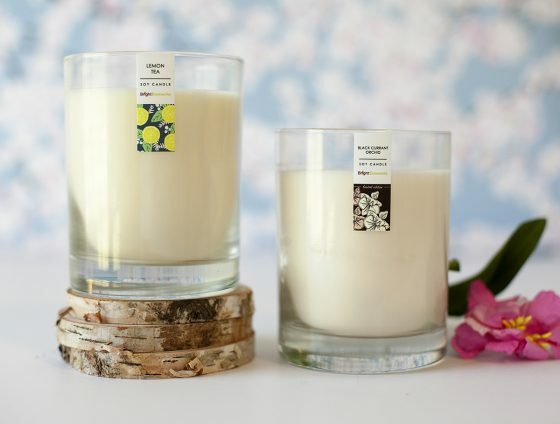 These signature candles are handcrafted in an 11 oz. signature glass with a burn time of 40 hours. Each scent is also available as a tin and votive. They’re filled with soy wax and phthalate-free fragrance, so you can feel safe burning these for hours! Soy candles from Bright Endeavors don’t just smell good . . . they do good! Give Mom the gift of a beautifully scented candle that also makes a difference in the lives of the young moms who make them. Every candle at Bright Endeavors is made by young moms in Chicago, Illinois. Bright Endeavors thinks young moms living in poverty represents an opportunity for transformation. 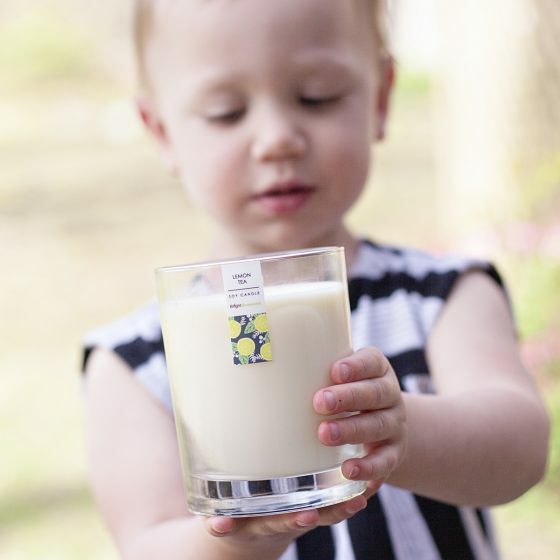 They help young moms by teaching them to craft premium soy candles in a supportive, professional environment. Each mom has a paid job and is set on a path toward professional success. Every candle sold provides more opportunities for these women. 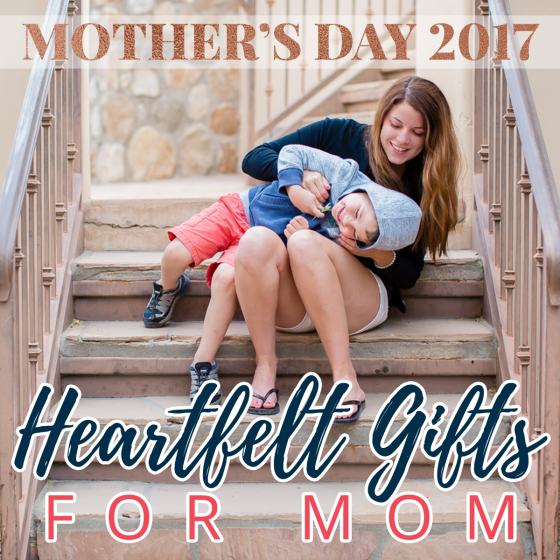 Personal, beautiful, meaningful, and exceptional – the heartfelt gifts that go the extra mile to make Mom feel especially loved this Mother’s Day. Choose with your heart and with Mom on your mind, you’ll do just fine. 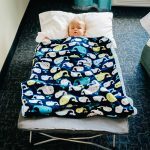 Now that Mother’s Day is in full swing, be sure to check out the New Mom’s Guide for those celebrating their first season as a Mom.